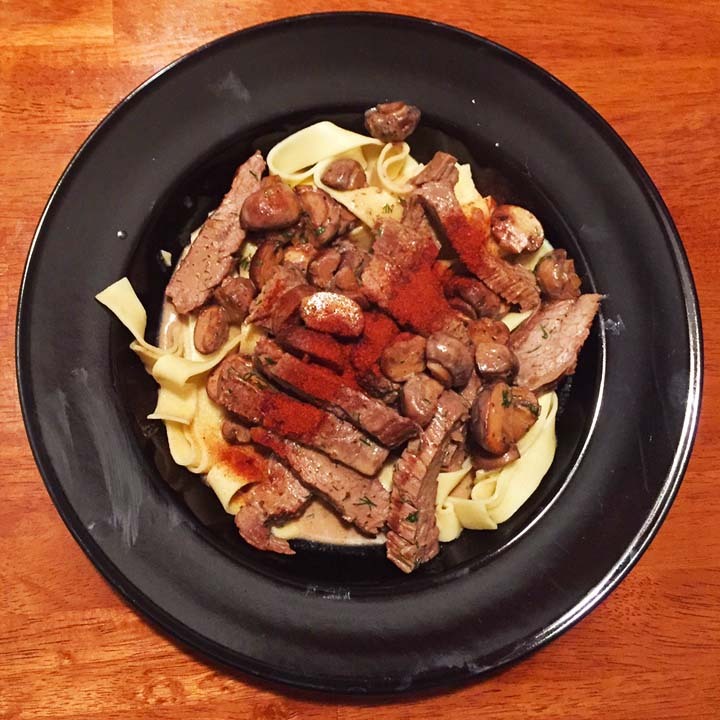 Beef Stroganoff and a Salad | Jouer avec le feu. My wife needed some cheering up, so I fixed her favorite. I went with a 2014 bottle of El Cuatro from The Ale Apothecary.